One of the worse and toughest Battles during Second World War was fought in the year 1944 between the two colonial empires Viz. British and Japan at Kohima in the heart of Naga soil also known as, “The Battle of Kohima”. Unfortunately many of the real struggle and stories at ground zero were never being sought after and put into records. Hence, most of the stories fed to us are more of one-sided stories from the victors’ point of view. Therefore, many of the fiercest battles fought at places like Chozuba; where the place is even named after the battle as ‘Japan Riba’, or battle at Pansha in Tuensang or the Bombing of INAs camp at Ruzazho Village etc. were hardly or not heard of or recorded in history. However, the present researchers are now becoming active to unearth those unheard and undocumented stories before the living witnesses all passes by. The Nagas by large depended on Oral tradition (passing of stories from generation to the other) and gave no importance of recording them in written forms. They considered the oral stories as the most legitimate form of proof for any events or dispute that might have arisen between different parties, villages or individuals in the past. Things have changed at present whereby the educated Nagas are pursuing in documenting all those oral stories into writings and recordings (both audio and videos). One such history has been recorded from Ruzazho Village of Phek District in Nagaland about the presence of Netaji and INA with their Allied forces (Japanese) during April to May 1944. As per the oral testimonies from the living witnesses who served Netaji while he and his armies stayed in the village, Netaji and INA with their allied Japanese came through Jessami via Phek, Khuza, and Mutsale to Ruzazho village. 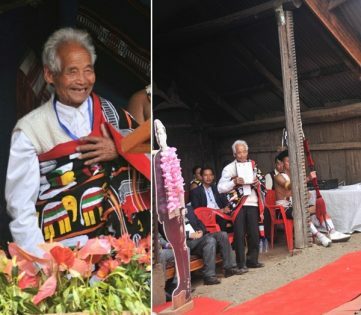 According to the oldest living person in the village Shri Poswuyi Swuro who is around 98 years of age, Bose along with his armies and Japanese reached the village at dawn and called for the general public meeting at a place called ‘Metho Chophe’. As per Poswuyi’s description of Bose, he was very handsome with a very promising character and persona, which attracted the villagers. When the villagers gathered, Bose enquired if there were any among them who studied or studying from the village. The villagers responded by mentioning Poswuyi’s name as he was the only person who passed Class III. Shri Poswuyi Swuro was then called by Bose to the front and was asked if he would be the DB (Dobashi) for the surrounding area. On agreeing to the proposal, Bose wrote his name in his personal diary. After that, he gave an opportunity to the villagers by asking who would be willing to be the Gaon Bura (Village Heads) whereby ten villagers raised their hands. Netaji Bose wrote their names in the diary as well. Just then, some of the Assam Regiments soldiers, who were captured and came along with Bose spotted Shri Vesuyi Swuro (elder brother of Poswuyi who was on medical leave and staying in the village) and reported to Bose saying he was also from the same battalion. Bose called him to the front and questioned if the claim was true? Vesuyi replied positively with great fear. However to his surprise Bose gently spoke to him in Hindi and asked him to be the interpreter. Vesuyi Swuro agreed. The villagers were given their assignments such as collection of rations, firewood, water, grass for their horses, etc. They were to report through their representatives who were just appointed by Bose. 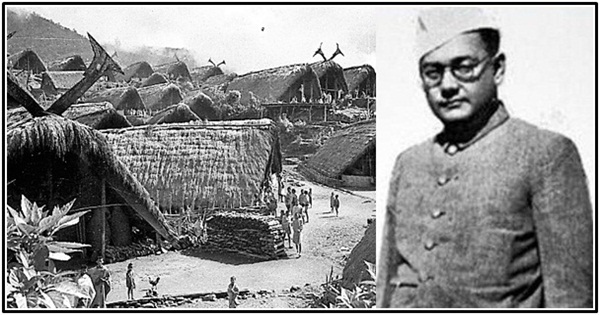 Netaji and his team stayed at Ruzazho village for 9 days. During their stay in the village, the villagers reported that they ran out of their food grains, vegetables and most of their domesticated animals. Still the villagers did not feel much pain with the hope that one day they would see their village developed as promised by Bose. Shri Poswuyi Swuro DB was sent to their neighboring villages like Phugi and Suthozu for rations. He and his brother Vesuyi were also given a mission to lead their INA allied Forces to Satakha via Dzulha, Kilomi and stayed at Satakha for a night. The next day on learning about the presence of British forces at Zunheboto they decided to retreat back to the base at Ruzazho village. On that fateful day, while crossing Dzulha Village, the British troops ambushed them and one Sema guy was shot just in front of them who succumbed to his injuries and died on the spot but Poswuyi and his brother luckily escaped the attack and returned to their village. It is worth mentioning that the entire villagers including womenfolk were involved in helping Netaji and the INA soldiers in one way or the other. The villagers were engaged in carrying their rations to different locations and camps and also carried their weapons, while some were engaged in building their base camps while others would help them in guiding them to different places and so on. As per the research so far, there is no record of Netaji administering any village prior to this village hence as per the present research this is the first Administered village by INA and Subhas Chandra Bose after reaching Naga Soil with powers given to the villagers as DB and GBs for administration. 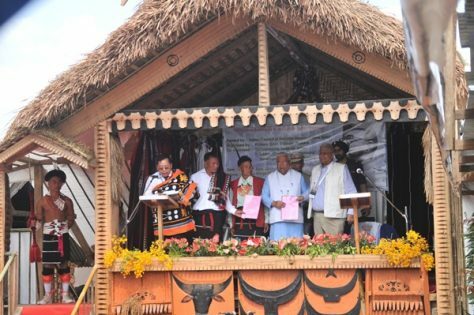 Many renowned scholars are on the same page that there is no doubt that this is the first Administered village in Nagaland. This was further supported by many prominent scholars during the seminar on, ‘The Battle of Kohima and its Impact on Indian freedom’ funded by Indian Council of Historical Research, New Delhi, where two Governors graced the inaugural function; Shri. P.B. 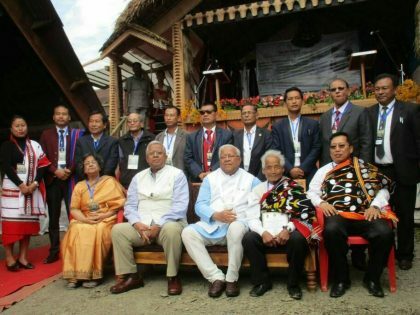 Acharya (Hon’ble Governor of Nagaland and Arunachal) as the Chief Guest and Shri. Tathagata Roy (Hon’ble Governor of Tripura) as Guest of Honor. 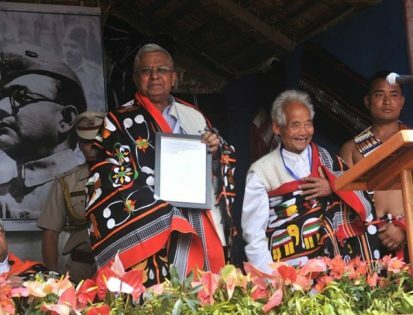 They acknowledged along with the scholars that Ruzazho Village was the first administered village in Nagaland by Netaji Bose. Hence, the village has been incognito approved and declared as the First Administered Village by Azad Hind Fauj Government in Nagaland and in India by a resolution in a seminar during the presence Dr. Purobi Roy, Honble Member ICHR New Delhi. 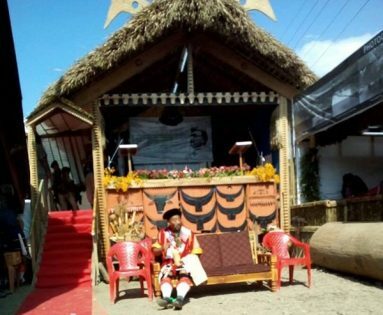 The Chief Minister of Nagaland has written to Hon’ble Prime Minister of India on several occasions to declare this Ruzazho as National Heritage Village in India. Several other NGOs also shared the importance of this historic village site to be declared as a National Heritage village in memory of Netaji and INA’s brave entry and their Vision for India by writing to Honorable Prime Minister as well. The proposed concept for the village is to bring the promised vision of Netaji to the villagers by bringing modern facilities in areas such as; roads, toilets, drainage, lake development, school building, hostels for both boys and girls, panchayat hall, cultural hall, women hall, weaving hall, animal shelters, Agri-link roads, rice mills, handicraft unit, library, museum, helipad, rest house, electricity and the likes. 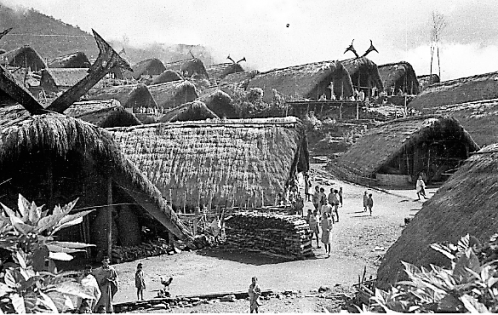 Courtesy of featured image of Ruzazho village of 1936: Fureer. Dr. Er. Vekho Swuro is the eldest son of Poswuyi Swuro DB (appointed by Netaji Bose as administration representative of Azad Hind Fauj Govt in Nagaland in 1944). He is Chairman of Netaji Subhas Chandra Bose Memorial Development in Nagaland.